White shirt is buttoned at rear and has blue trim around colour and sleeves. 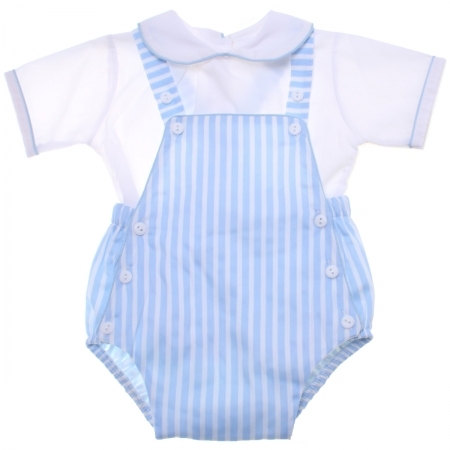 Dungarees is in blue white stripes with extra buttons to make them longer. The back is elasticated. Made in Spain with quality fabric: shirt is 65% cotton 35% poly.